1000 self adhesive clear hang tabs size 50 mm x 50 mm. Clear plastic hanger tabs with adhesive back. They have a strong adhesive and are easy to apply just peel them off the backing sheet and stick to your product and display them at point of sale locations. 1000pcs self adhesive clear hang tabs size 50 mm x 50 mm. Clear plastic hanger tabs with adhesive back. 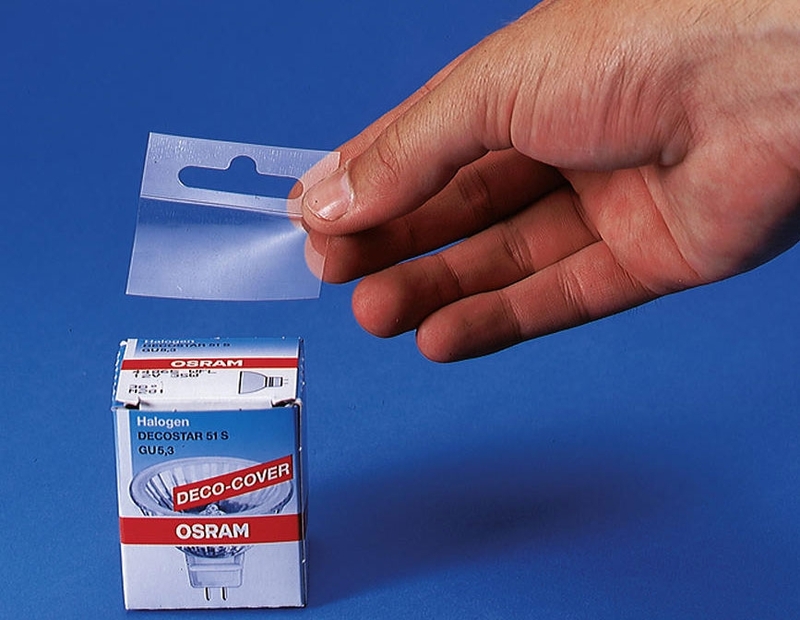 They have a strong adhesive and are easy to apply just peel them off the backing sheet and stick to your product and display them at point of sale locations. 1000 self adhesive clear hang tabs. Clear plastic hanger tabs with adhesive back. They have a strong adhesive and are easy to apply just peel them off the backing sheet and stick to your product and display them at point of sale locations. Ideal for hanging boxes, greeting cards, bags etc.